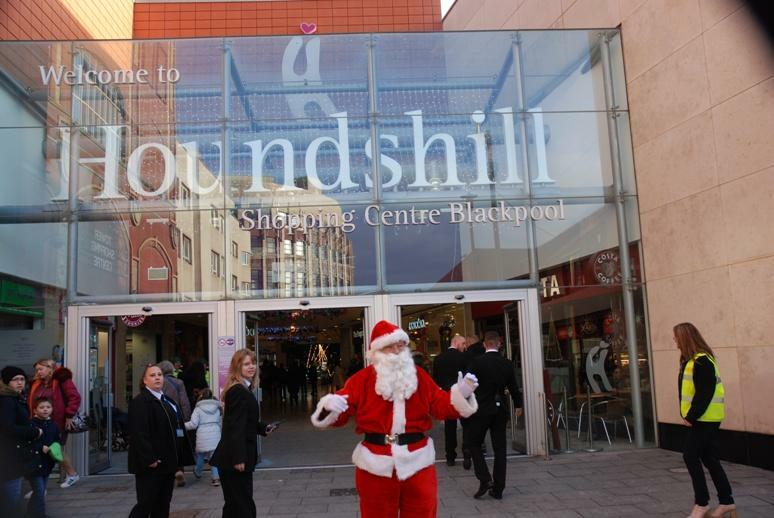 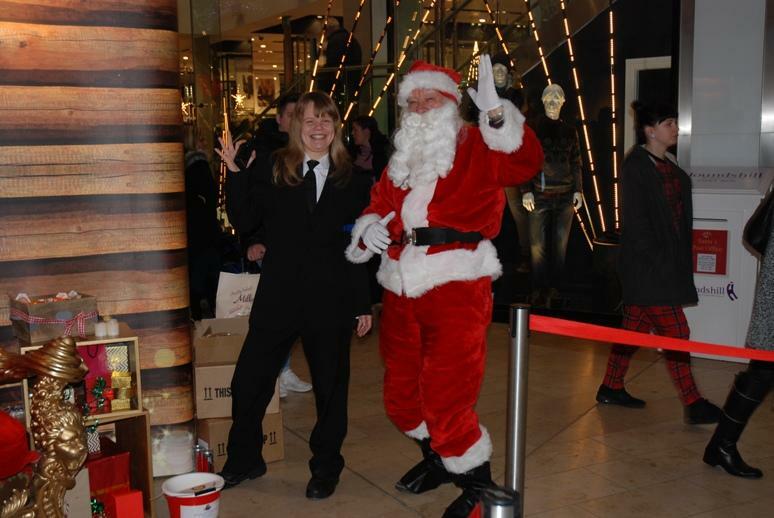 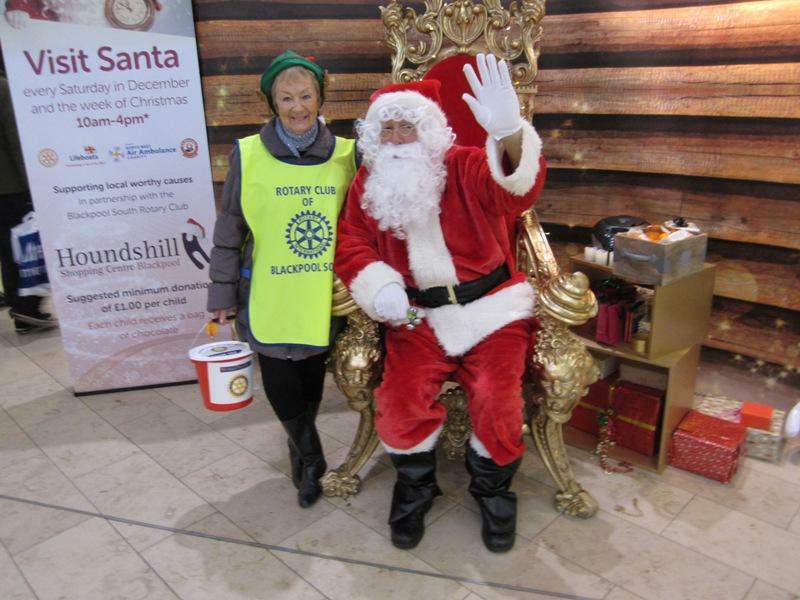 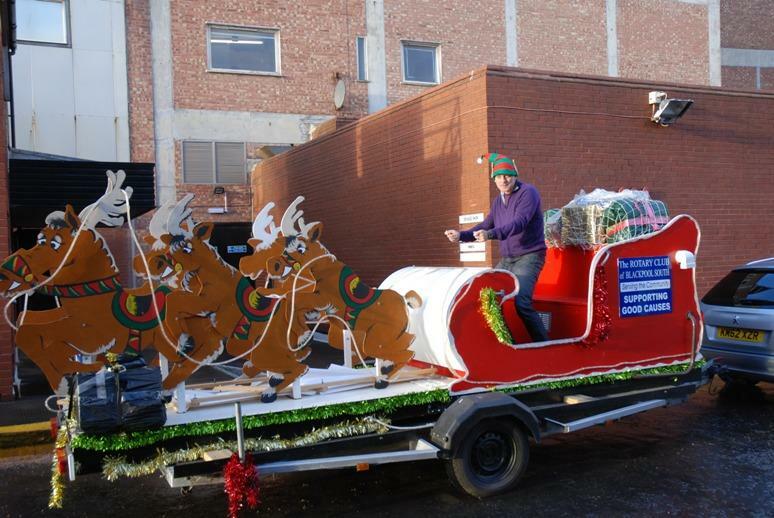 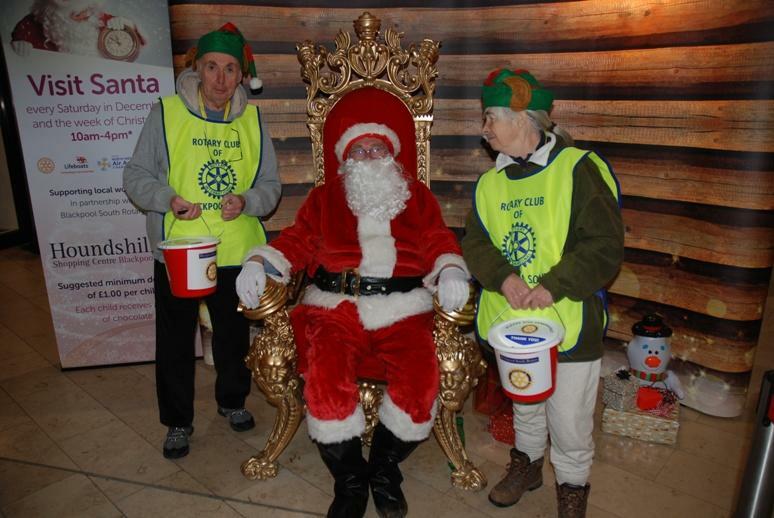 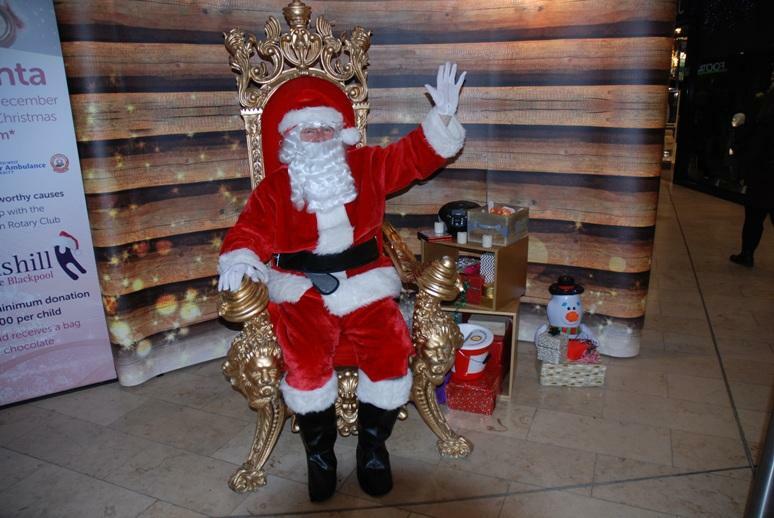 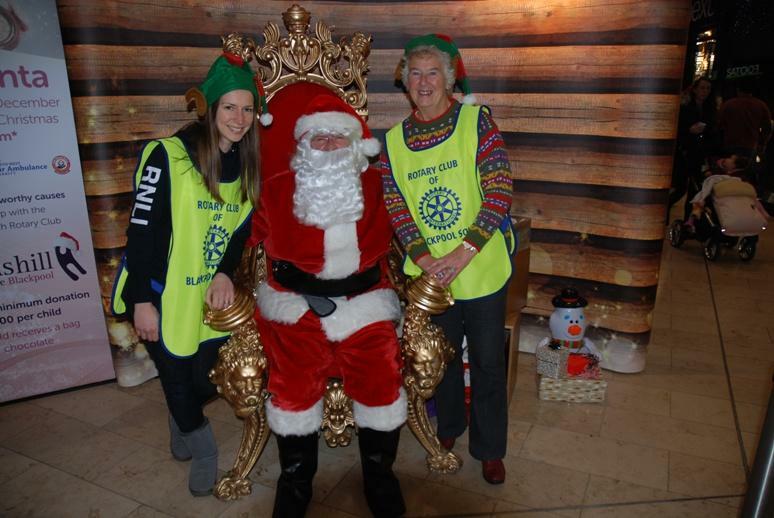 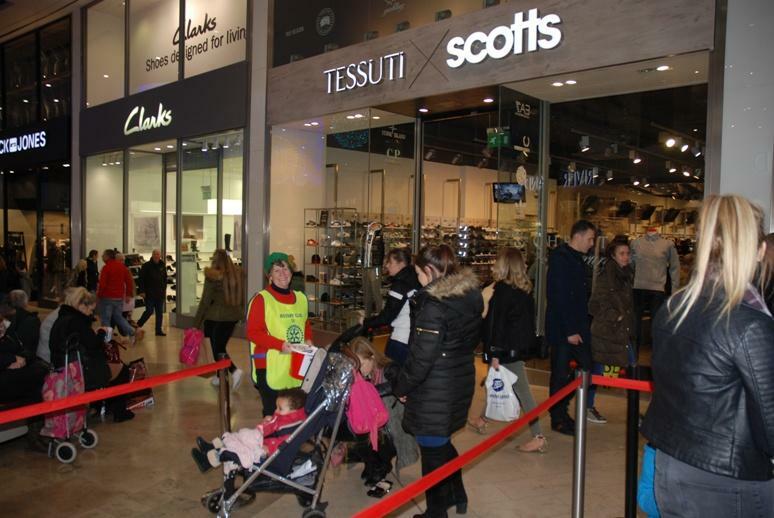 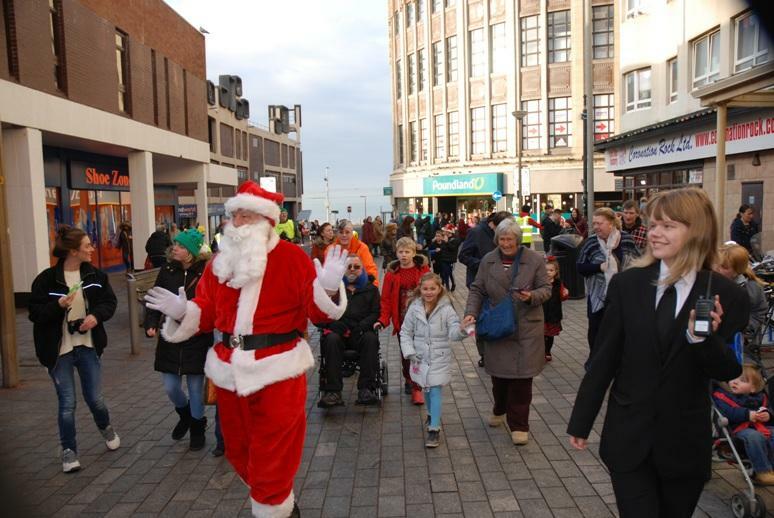 Blackpool South Rotary Members are fundraising and joining Santa Claus in the Houndshill Shopping Centre on every Saturday in December and for every day in the week commencing Monday 19th up to and including Christmas Eve. 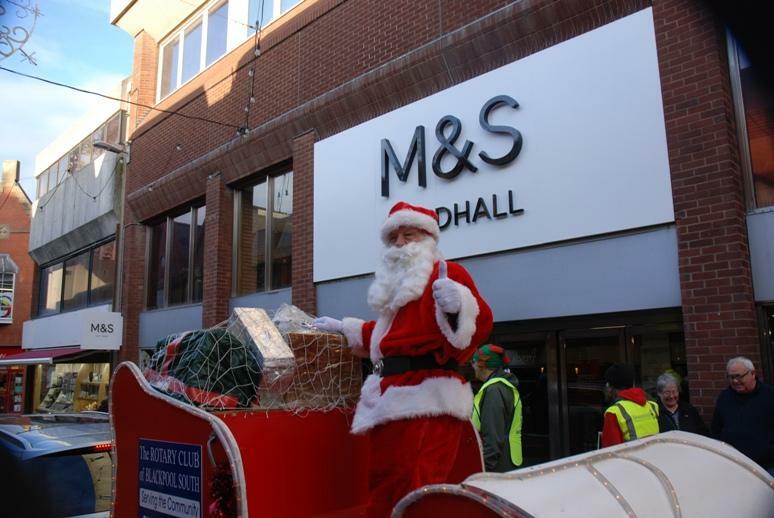 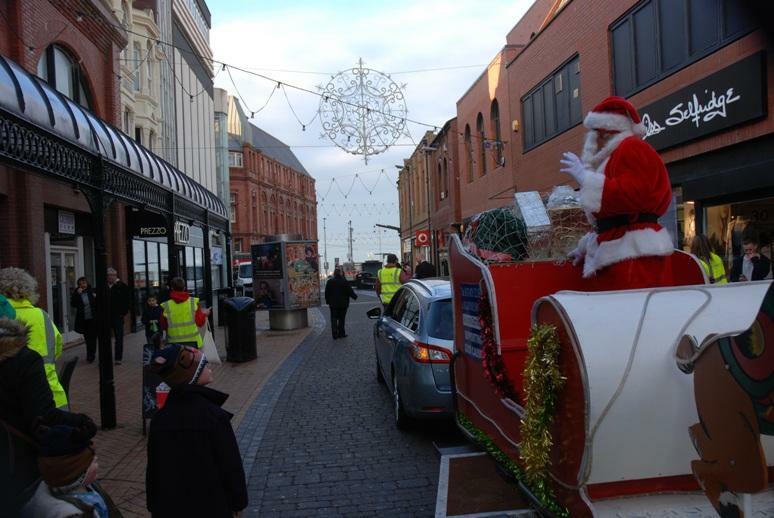 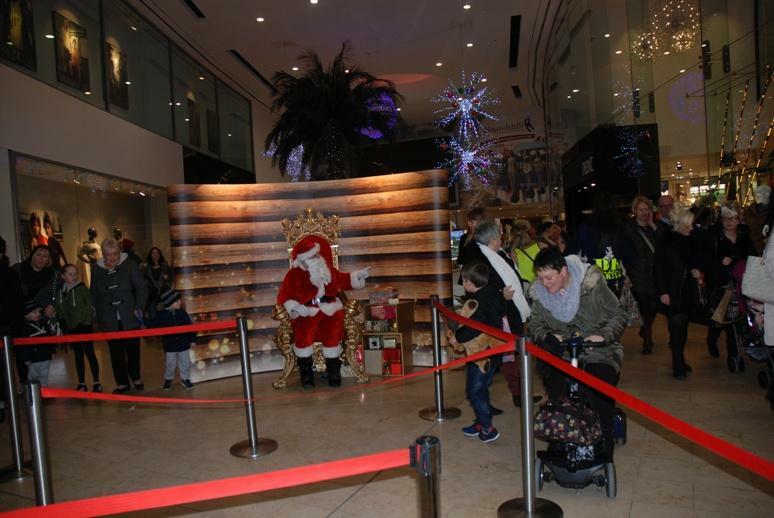 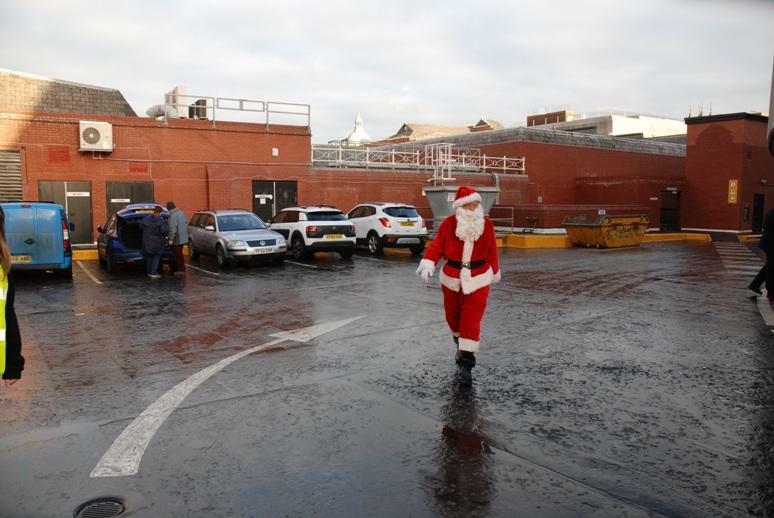 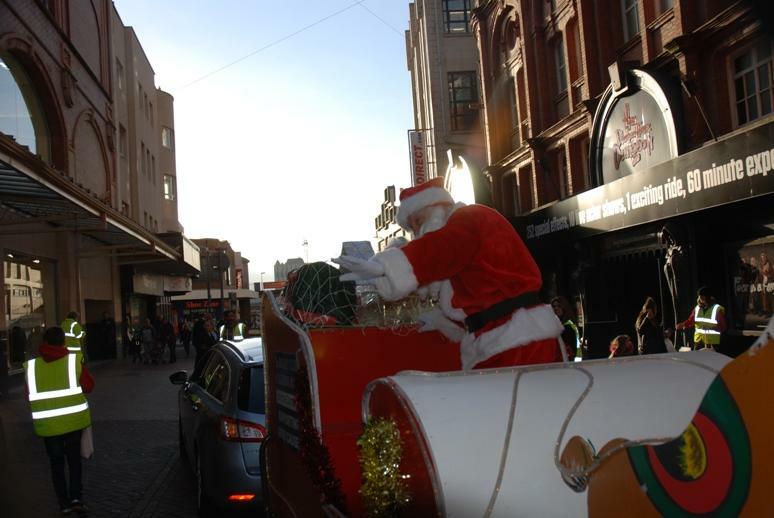 Santa can be seen between 10am and 4pm each day. 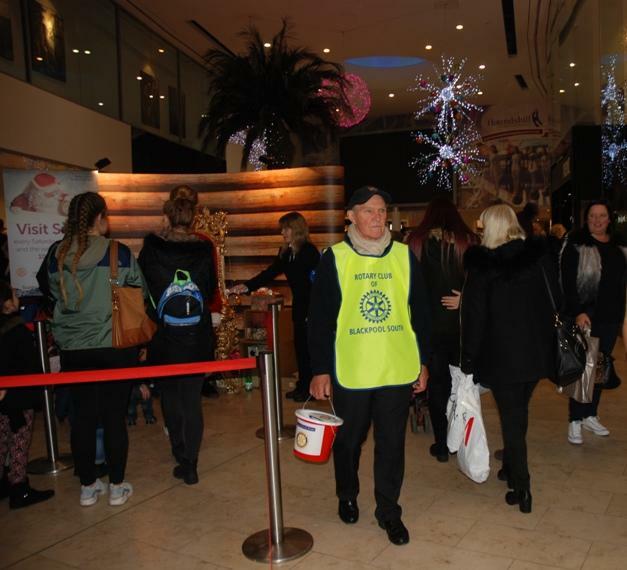 Rotary Club Members assisted by representatives of the main charities and friends will be collecting. 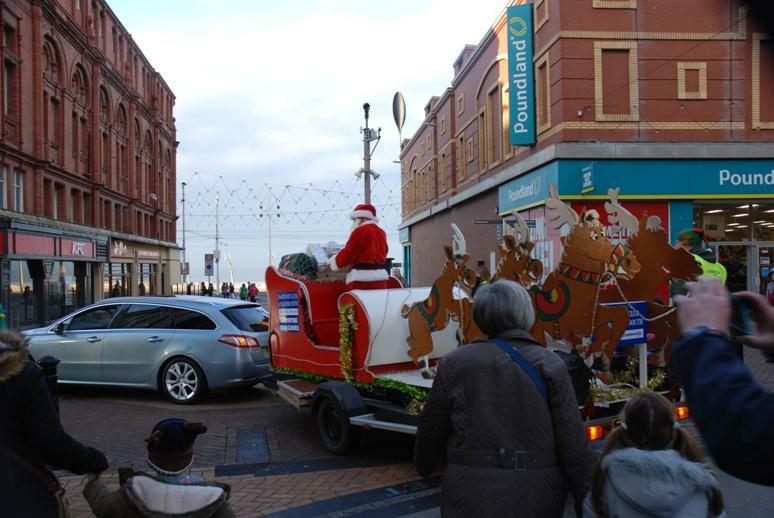 The main charities we are supporting are the North West Air Ambulance, RNLI (Blackpool), Blood Bikes and of course not forgetting local worthy causes. 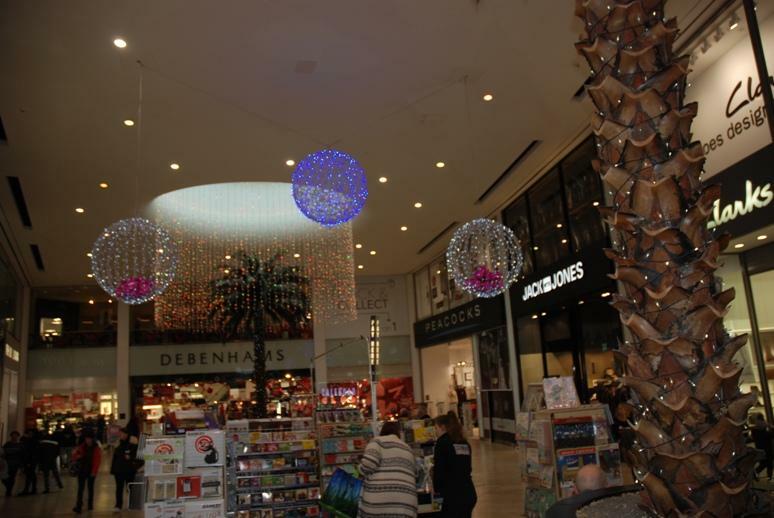 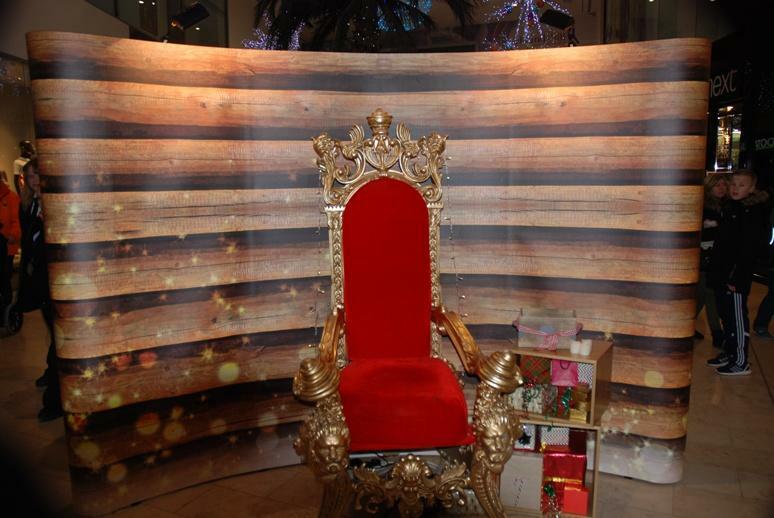 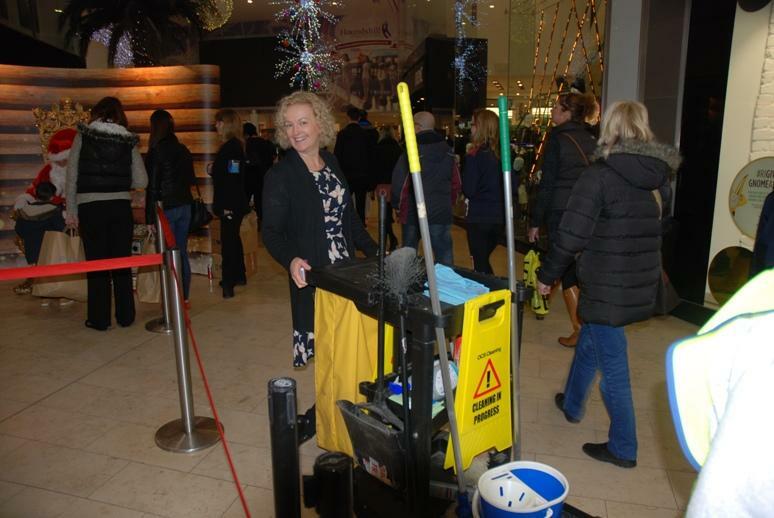 We very much appreciate the invitation to collect in this major shopping Centre and would like to thank Centre Manager Debbs and her team for the splendid throne and backdrop in the main mall. 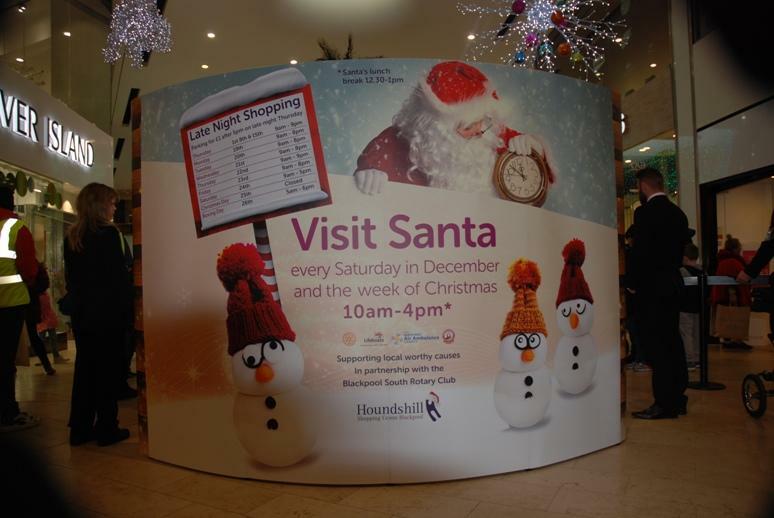 It is an absolute pleasure working with the Houndshill Team. 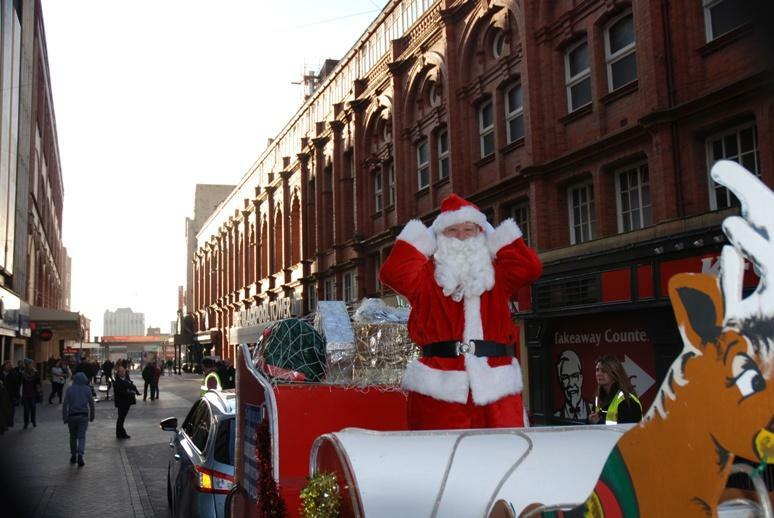 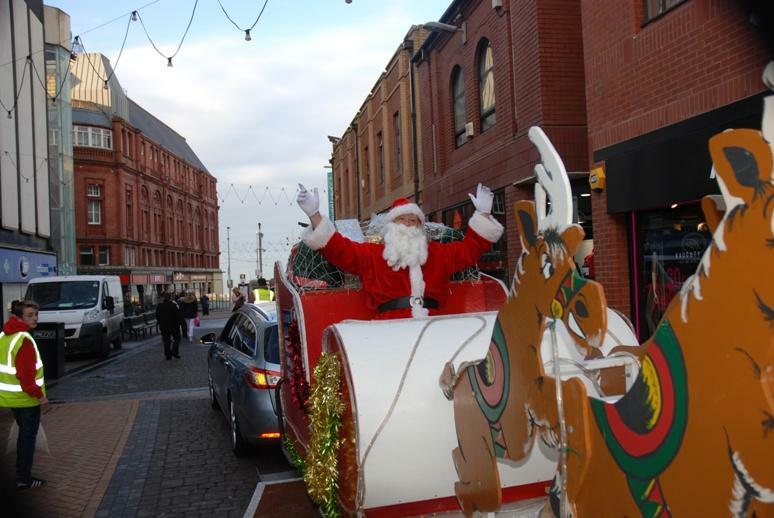 Santa had a great Parade on the 3rd December on the Musical Santa Sleigh travelling along Victoria Street and Bank Hey Street before alighting to take his place on the throne. 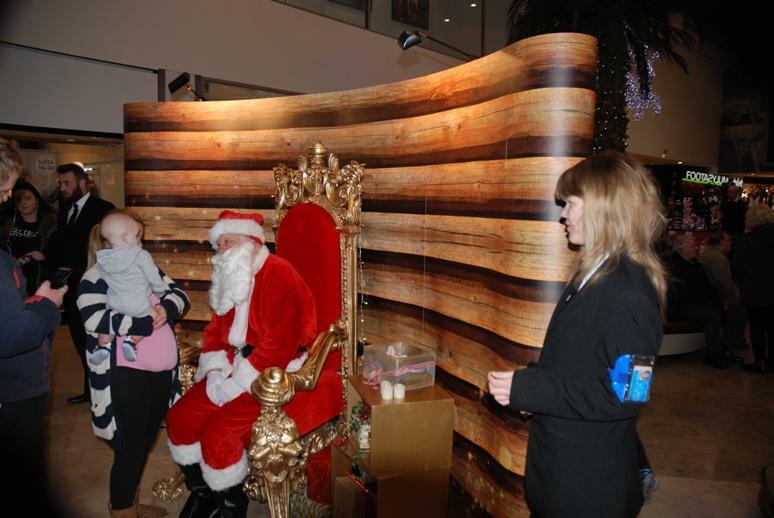 He was greeted by many happy children who each received a bag of chocolates courtesy of the Centre. 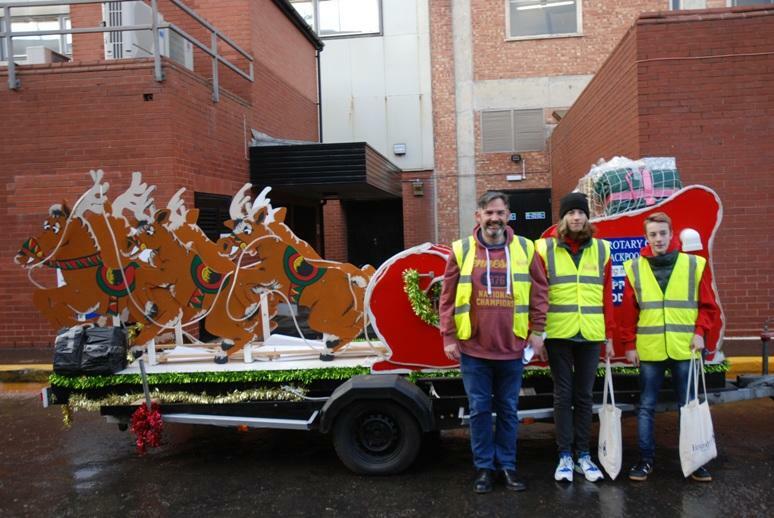 Radio Wave was represented on the parade. 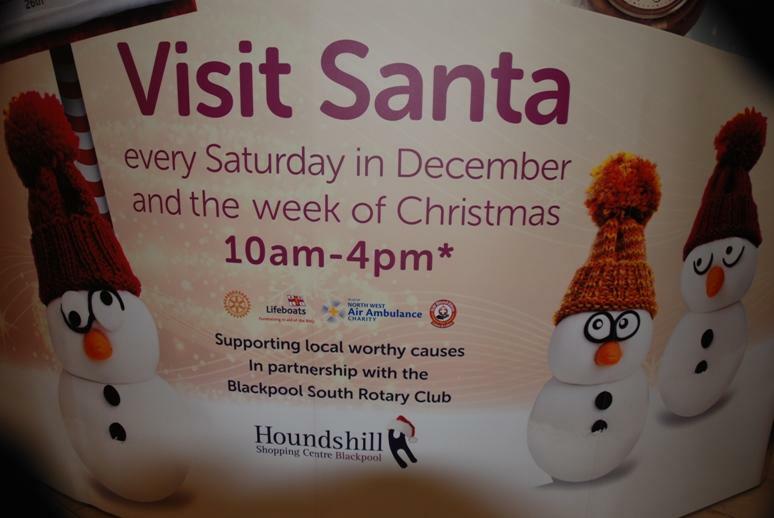 DON’T FORGET, IF YOU SEE SANTA GIVE HIM A BIG SMILE. 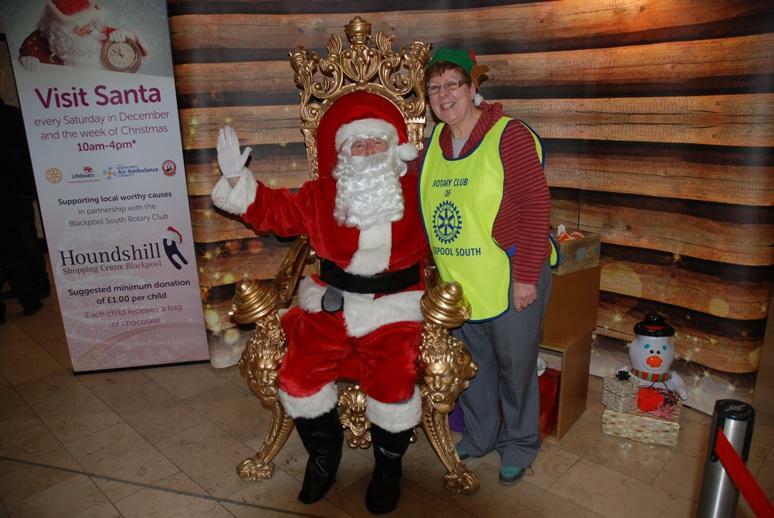 SANTA LIKES TO SEE HAPPY FACES.